This is part 1 of a tutorial series in building a Personal Finance App. 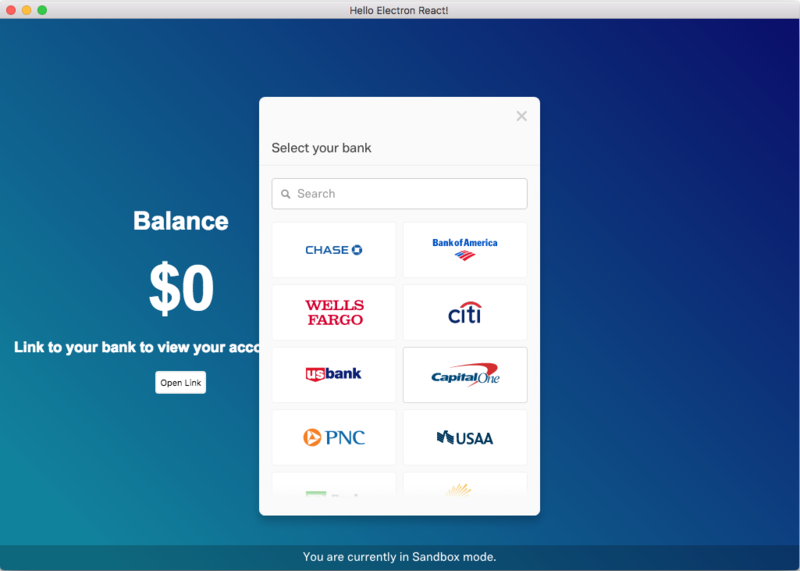 In this series, we’ll be building an Electron app that allows you to compute your total balance across multiple bank accounts, using real, live data from your actual accounts. When I was at Java2Days this year, I was pulled into a panel discussion about Cybersecurity, AI and Digitalization. The discussion ranged in talks about privacy, e-voting, and if artificial intelligence will take your job as a developer. As a true lover of Star Wars, I was wearing my AT-AT shirt which you can find at Target. As you can see a set of imports and then an array of functions added to the generator function used in my store module. This works fine, but I often find that swapping between a specific sagas file and the rootSagas file to be an unnecessary step prone to error.